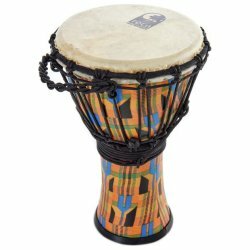 During the early 90's, the music scene began to bustle with new trends. 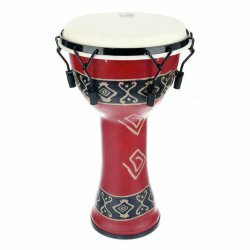 A new craze called drum circles began making headlines in the news, around the same time a new Latin sound called "Afro-Cuban" was hitting the pop charts with the Miami Sound Machine's hit "Conga". 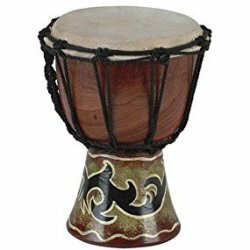 Hand drumming was receiving a great amount of press as more people began to take up hand drumming as a recreational hobby. 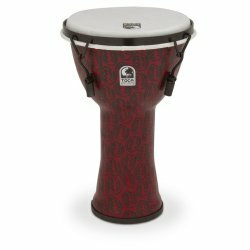 People wanted to drum for a variety of health and wellness reasons, along with pure enjoyment. 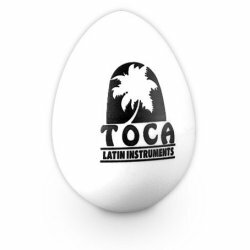 All the while, the Latin sound became more popular and mainstream. 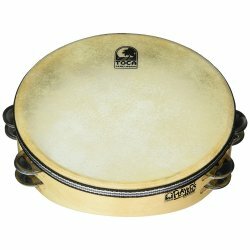 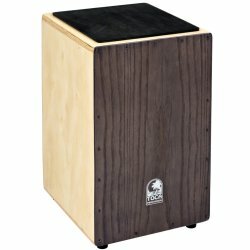 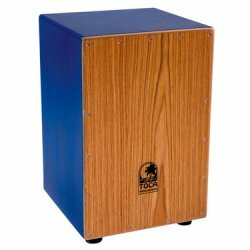 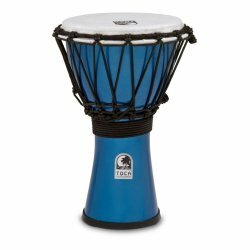 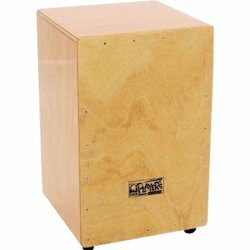 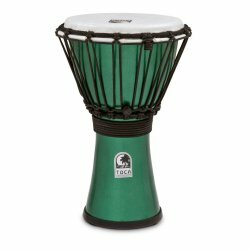 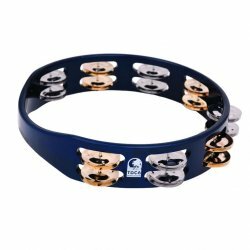 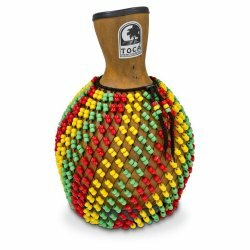 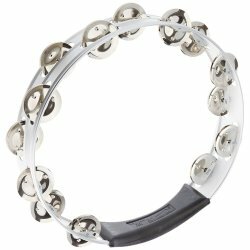 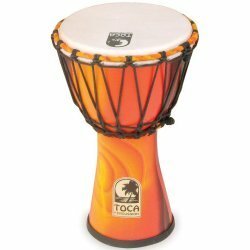 KMC Music decided to introduce Toca Percussion as a choice in hand percussion instruments and accessories. 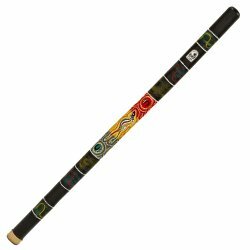 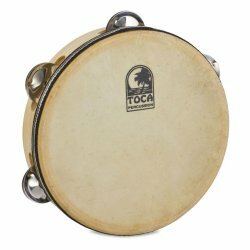 Toca was designed and developed to have a different look and provide the "Afro-Cuban" sound. 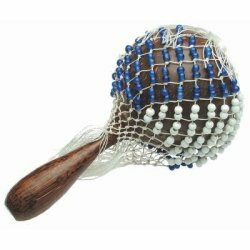 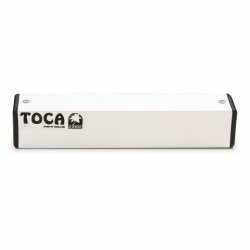 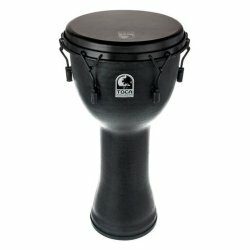 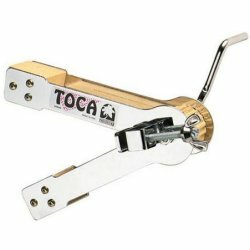 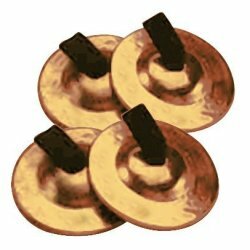 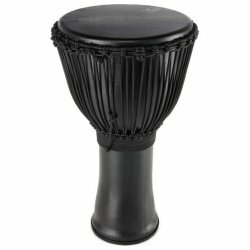 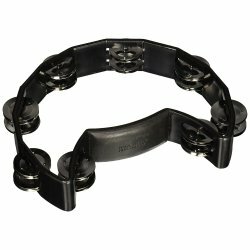 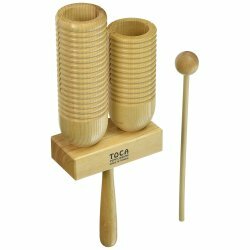 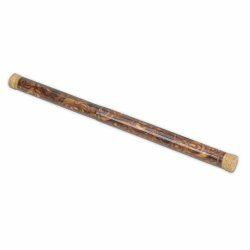 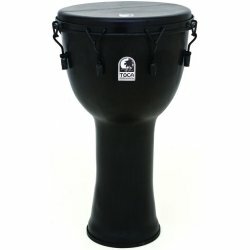 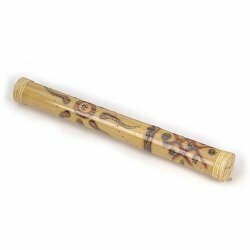 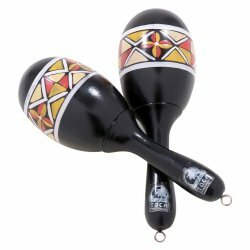 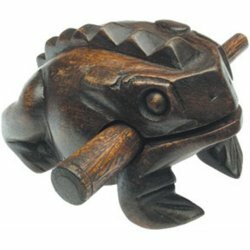 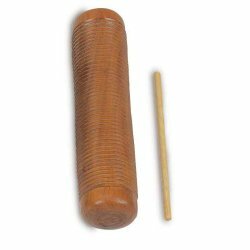 These instruments made Toca unique from brands thus giving players and percussionists an alternative choice when looking for hand percussion instruments. 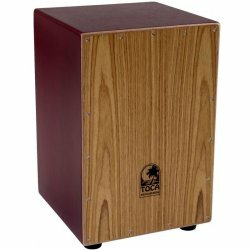 Today, Toca is proud to be a part of the R&B music Family and we are still committed to always offering the player a distinctive choice in style, design, and sound. 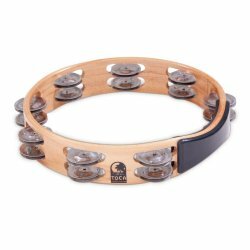 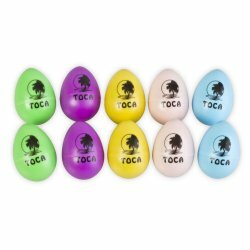 Thank you for your continued support of Toca Percussion and we're happy to be a part of your musical life no matter what stage you're at. 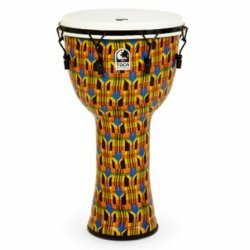 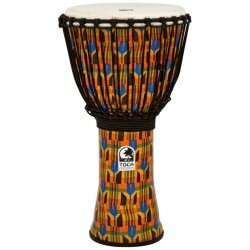 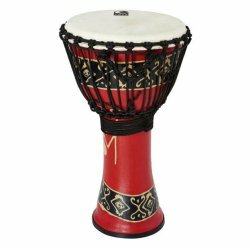 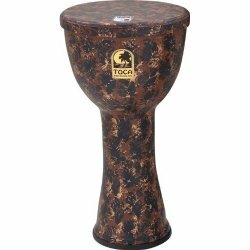 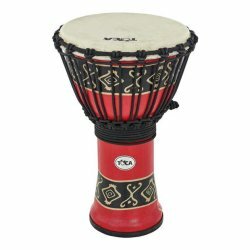 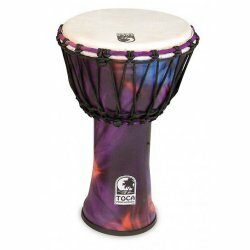 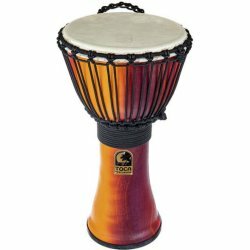 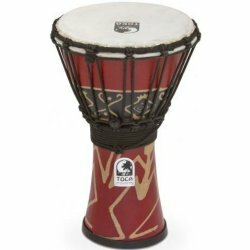 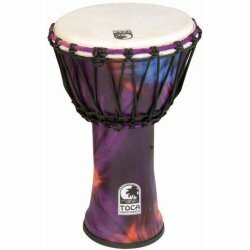 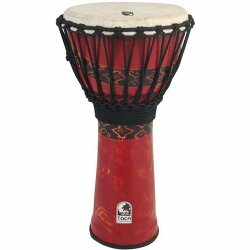 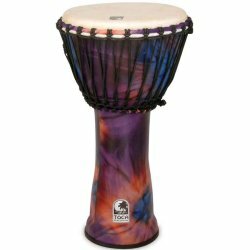 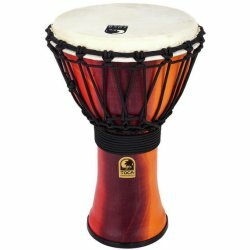 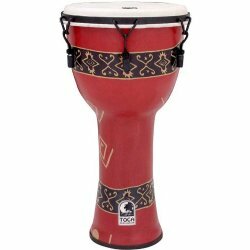 Toca TF2DM-9RM Freestyle II Mechanically Tuned Djembe - Red Mask, 9"
Toca T1010-A - Acacia Wood Double Row Tambourine 10 in.